Today we launched our small business charter which will see us double our number of local food suppliers. Backing British is a cornerstone for our Co-op Food strategy, so we have pledged to increase the number of small suppliers that we work with to 1,200 by the end of 2017. This UK-wide local sourcing initiative will also see us working with more small and micro-breweries from this month to tap into the growing demand in our stores. Double the amount of local suppliers and promote products made in the vicinity of our stores. Encourage small suppliers to gain a universal standard (SALSA accreditation) for food production, legislation and labelling. Not seek exclusivity to ensure small businesses can thrive and grow. Commit to building long-term relationships with suppliers and growers in order to offer greater certainty and stability while championing local food and suppliers through stores and promotions. 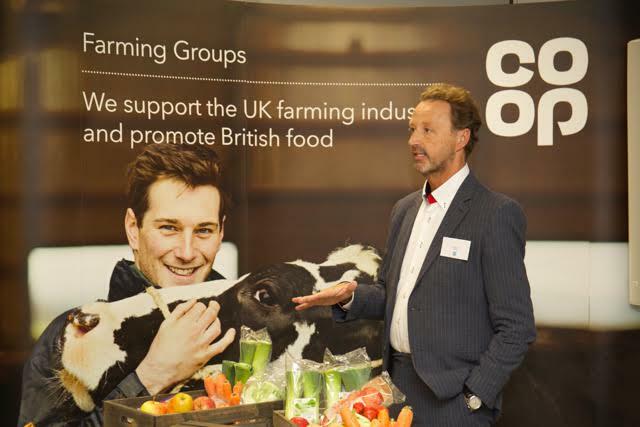 Steve Murrells, Chief Executive of Co-op Food, said: “These are prized local products, we know our customers care about the provenance of their food and are keen to champion British products wherever they can. As a community retailer we want to make a difference in the communities we serve and working with more small suppliers who produce loved and local products is a better way to do business. To find out more about how we’re backing British, visit our website. This is great news. Would it be possible to get some direction on who to speak with regarding getting our award winning beer stocked? Please could you tell me who I may contact regarding becoming a local supplier? we are providing wholesale food and drink supplies in London. If you are interested please click the link below. This is great news. I look forward to seeing produce from the local area in all COOP shops.